Want to eat moist and delicious cake? Special layer cheese cake can be an option. 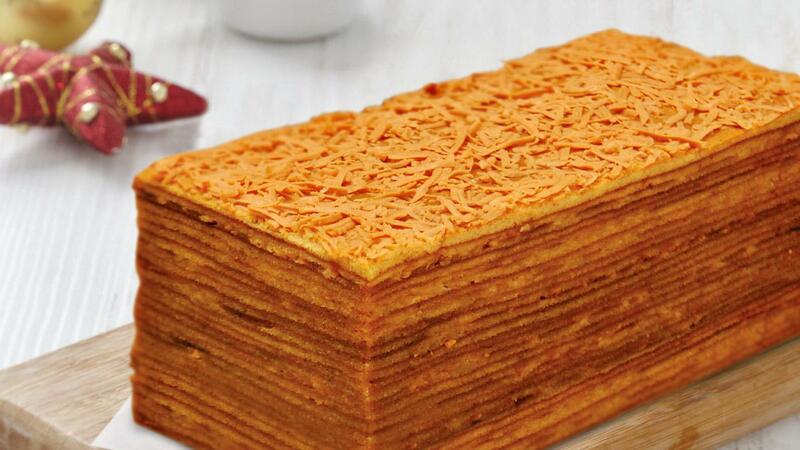 This cake can make you fall in love with it many times over. Whisk butter, margarine, condensed milk, dan vanilla butter with medium speed for 10 minutes until it turns into white and stiff. Whisk all egg yolk, egg white, rough sugar, and salt until it's white and expand well and soft. Strain flour and milk powder and mix them well. Add number 1 mixture into number 2 mixture and mix them carefully. Then, add strained flour and milk powder and grated cheese and mix them well. Take the dough about 70 g weight and put into a baking pan and oven it with lower heater until it is well done and add another 70 g dough on the top as the top layer and switch to the top heater and so on until there is no dough left. At last, add the top side with sliced cheese. After the layer cake is well baked, do not take if off from the baking pan soon, kindly wait until it's getting cooler and it's ready to serve.